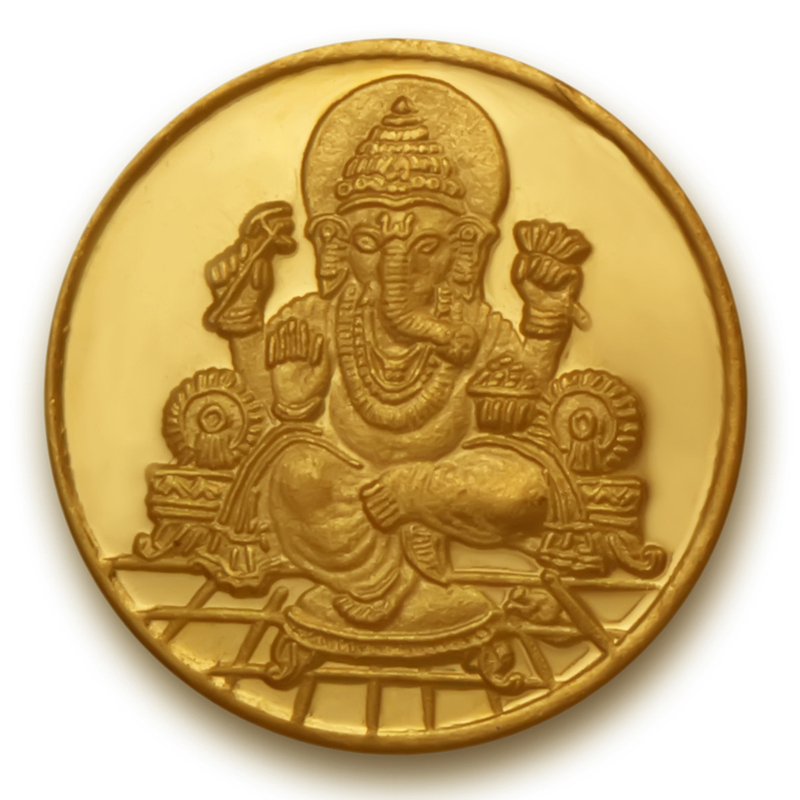 With the god of begginnings, Ganesha etched on one side and the universal symbol of spiritual perfection 'OM' on the other side, this gold coin is a must have treasure. Ideal gift for weddings, new ventures, and other important occasions. This 24K gold coin comes in 995.0 purity.